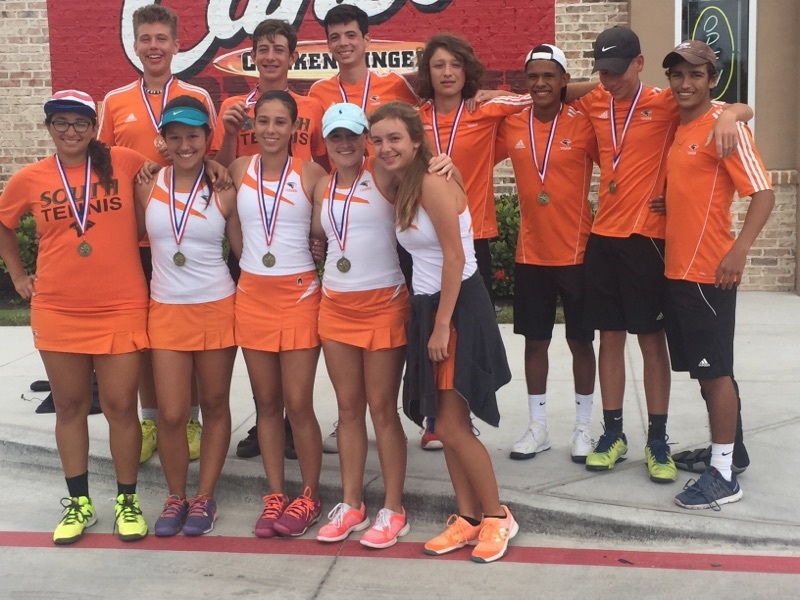 The Harlingen High School South Hawk Tennis team had a clean sweep this weekend at the 32-6A District Tennis Tournament. For the second year in a row and the second time in school history, the Hawks won every division at the district tournament. Harlingen High School also had a few players put on a stellar performance at the competition. Students who advanced will compete at the Region IV-6A tournament in San Antonio later this month. The Hawk Tennis team also did well at the freshman district tennis tournament. The Hawks won 1st and 2nd place in every division except one. Mason Tice won 1st place in boys singles. Finishing in 1st place in girls singles was Kara LeMarr. The team of Jacob De la Fuente and Ben Rozeff won the title in boys doubles. Taking the title in girls doubles was the team of Sarah Sauceda and Halley Welch. Rounding out the 1st place winners was the mixed doubles team of Gunner Ziehe and Kelly Yeupell. Winning 2nd place in boys singles was Ryan Morales. Winning 2nd place in boys doubles was the team of Eddie Ramos and Lorenzo De la Fuente. Julia De la Fuente and Sophia Pearcy won 2nd place in girls doubles. 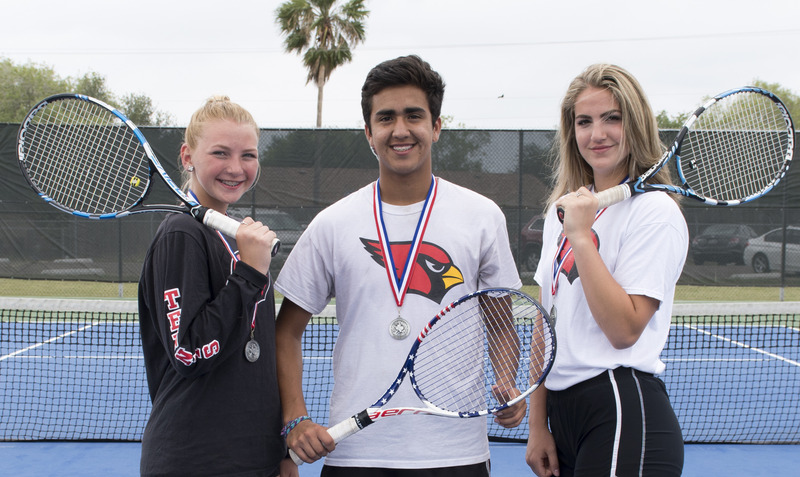 Completing the outstanding results was the mixed doubles team of Ryan Tilden and Monica Villarreal winning 2nd place in mixed doubles. Kara Ingram took 3rd place alongside fellow Hawk Billy Yeupell in the varsity division. The 9th-grade teams won district in both boys and girls team championships.